I’m not sure who was more excited about the book for The Nature Book Club this month— me or my kids. We have always explored trees and their parts, but this month we took a deeper look at trees and how they provide a homes to so many other living creatures. 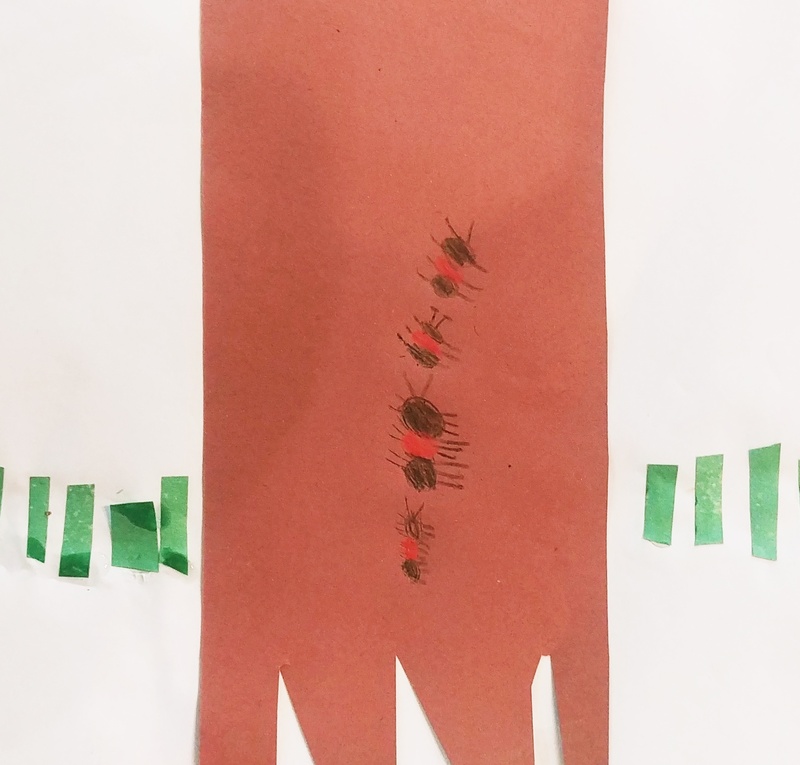 We read (and fell in love with) The Busy Tree by Jennifer Ward and paired it up with our own “flappy” tree creation. 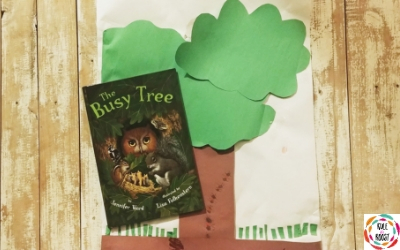 The Busy Tree is an adorable, rhyming book that illustrates the variety of creatures that a tree hosts. From ants to owls, there are so many living beings that call the trees “home”. We really wanted to replicate the story and come up with something unique and creative. 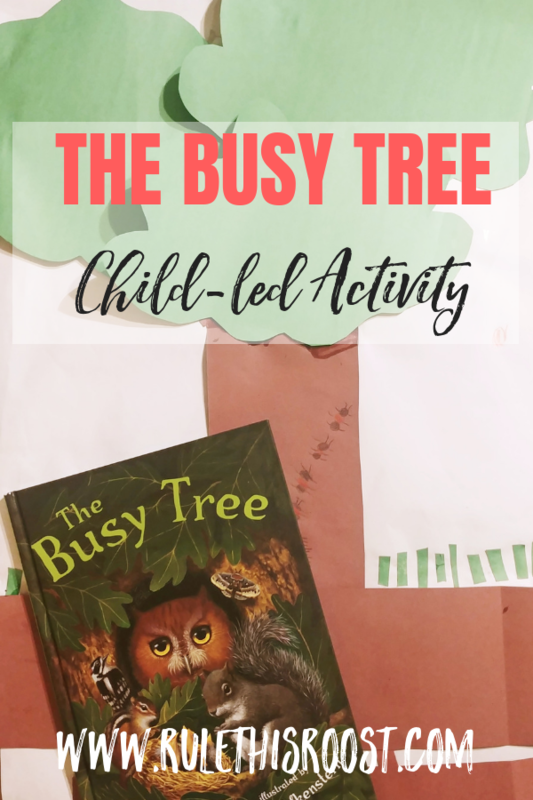 We decided that it would be fun to create our own busy tree and the life that inhabits it. the rhyming makes it really easy for kids to stay engaged. Another bonus is that it is on the shorter side, so the value is really in the beautiful pictures. I love that The Busy Tree shows the true importance of our trees and why we need to care for nature. At the end of the book, you will find a little boy and girl and get to see what they do with the tree. 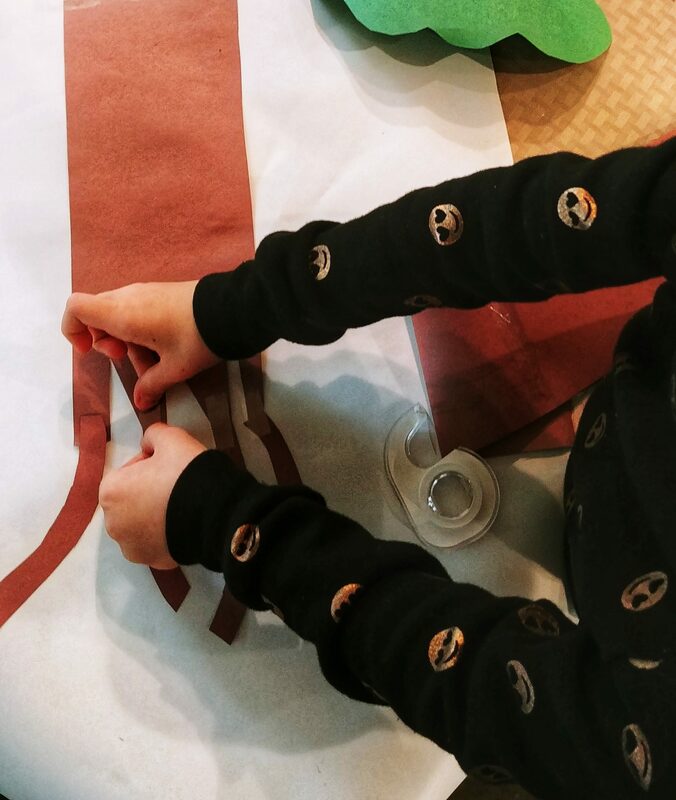 We are unschoolers so we don’t generally do cookie-cutter type activities with no value. I am all about my kids taking the lead in what projects they choose so, unless my daughter finds something on Pinterest that she absolutely loves and wants to copy, we don’t really do run-of-the-mill crafts very often. I did actually suggest that we make our own version of a busy tree and my daughter took off with it. 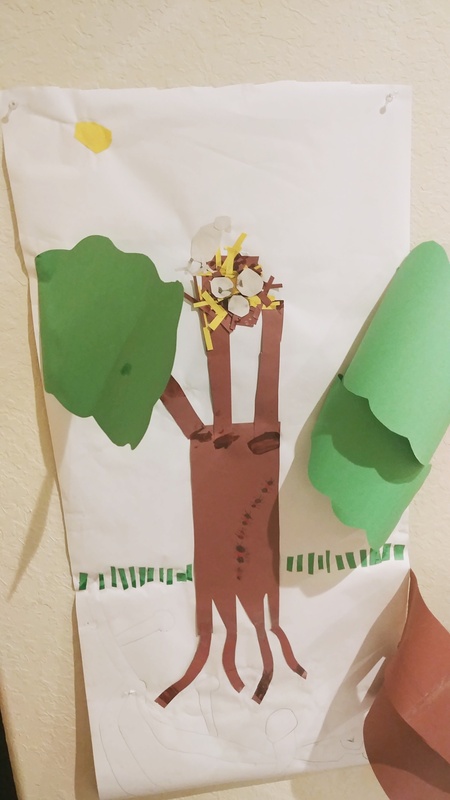 We cut a long piece of paper from our easel paper roll and used construction paper for all of the tree shapes and creatures. The important part is leaving the tree leaves and ground as a flappy portion so the roots and the living creatures can be added in underneath the flaps. 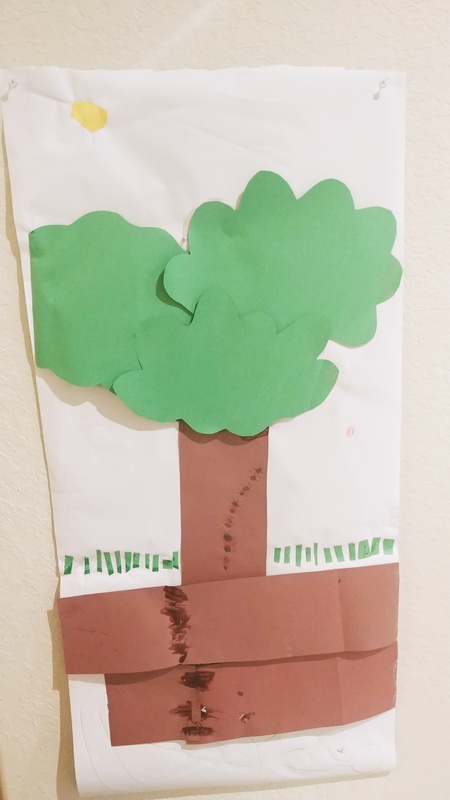 My daughter LOVES to use her twistable colored pencils and she used them to draw the ants crawling up the trunk of her busy tree. This is my most favorite part of her tree! One of the cutest parts of The Busy Tree is a picture of a nest with eggs. 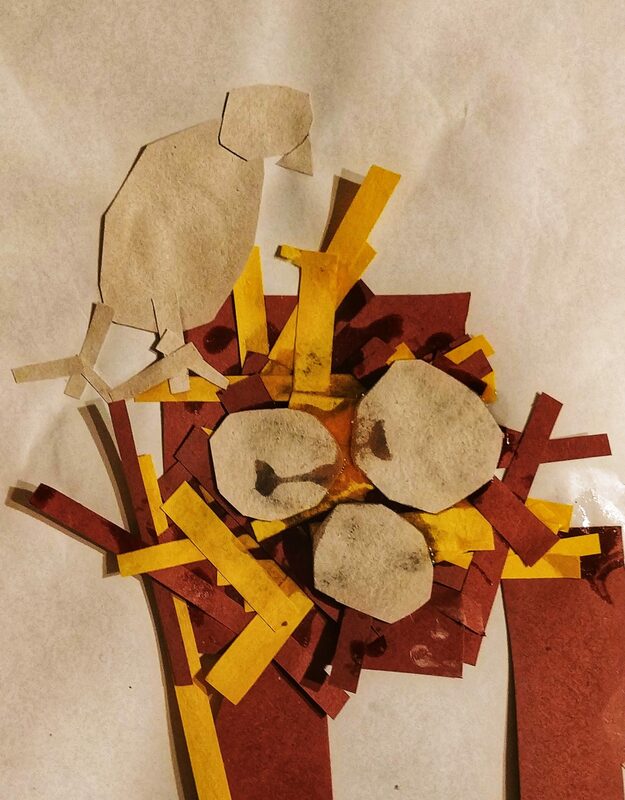 My daughter had to have her own nest in her tree, so she spend time cutting out individual pieces of “straw” to glue together for her nest. She added eggs and a “mama bird” and they hide behind the tree leaves. My daughter’s busy tree is a work in progress. She adds to it daily and might add to it for several weeks and months to come. I love that she has internalized the busy job of trees and that it will be something she remembers forever.